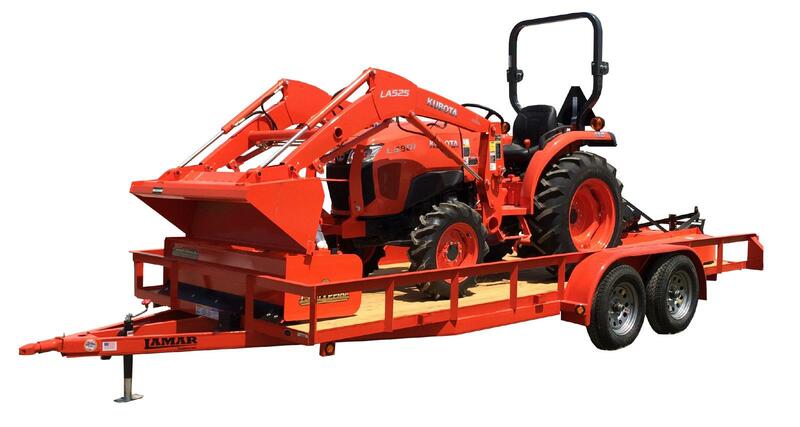 This Kubota L3901DT Package Deal includes, but isn't limited too a Kubota L3901DT 4WD W/Gear Shift Transmission, Kubota Loader and Bucket, Land Pride 60" Box Blade, and 60" Land Pride rotary cutter, and 18ft trailer. At Great Plains Kubota we have many Kubota packages put together waiting for you, however you can customize any Kubota with any implement you want for additional savings. For more info on our customizable Kubota packages give our friendly sales team a call today. Our Kubota dealerships in Ada, Duncan, Edmond, and Shawnee Oklahoma are waiting for you!